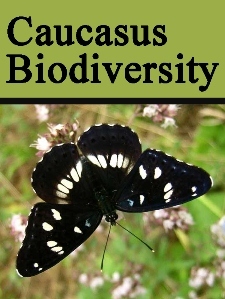 Conservation Status (International): IUCN status (international) Near Threatened, ver 3.1. Close to VU (A2c). Continuing population declines at 20% or more in ten years. Relatively widespread but rare species. Economic importance (national): Currently absent. Potentially pest of cereals fields. Ongoing research activities: irregular observations by vertebrate zoologists at Ilia State University. Contact persons – Alexander Bukhnikashvili, Andrei Kandaurov. Specific information: Monitoring of the burrows, which are easily identifiable by their vertical and deep entrances. For confirmation of the hamsters presence in the burrows, hair-traps for non-invasive sampling is suggestive. Why to monitor: rare species, an indicator of conditions of pastures and arable lands in steppe and mountain steppe landscape. Recommendation: Monitoring of selected sites throughout the country. Suitable habitat modeling. კონსერვაციული სტატუსი (საერთაშორისო): IUCN სტატუსი - Near Threatened, ver 3.1. უახლოვდება სტატუსს VU (A2c). პოპულაციამ იკლო 20%-თ ან მეტით ბოლო 10 წლის განმავლობაში. შედარებით ფართოდ გავრცელებული მაგრამ იშვიათი სახეობა. კონსერვაციული სტატუსი (ეროვნული): საქართველოს წითელი ნუსხა. IUCN ეროვნული სტატუსი (2006) VU (B1), მცირე და ფრაგმენტარული არეალი. ძლიერია ფლუქტუაციები. საფრთხეებია (1) ღრმა ხვნის და პესტიციდების გამოყენება, (2) სახნავი მიწების გაფართოება სასუქების და მომწამვლელი ნივთიერებების გამოყენებასთან ერთად. ეკონომიკური და სხვა მნიშვნელობა (ეროვნული): ამჯამად არ არსებობს. შესაძლებელია სათიბებს გარკვეული ზიანი მიაყენოს და ამავდროულად სათიბების მდგომარეობის ინდიკატორად გამოდგება. მონიტორინგის მეთოდები: სტანდარტული მეთოდია სოროების თვლა ტრანსექტზე ვარგის ლანშაფტში. მიმდინარე პროექტები: არარეგულარული დაკვირვებები ილიას სახელმწიფო უნივერსიტეტის ზოოლოგების მიერ. საკონტაქტო პირები - ალექსანდრე ბუხნიკაშბილი, ანდრეი კანდაუროვი. სპეციფიკური ინფორმაცია. სოროების მონიტორინგი მარტივია, რადგანაც ამ სახეობის სოროების შესასვლელი გამოირჩევა ვერტიკალური განლაგებით. ცოცხალი ზაზუნების არსებობის დასადგენად შესაძლოა გამოდგეს ბეწვის არსებობის დადგენა არაინვაზიური ხაფანგებით. რატომაა საჭირო მონიტორინგი: იშვიათი სახეობაა, სახნავ-სათესი მიწების და საძოვრების მდგომარეობის ინდიკატორი სტეპის და მთის სტეპის ლანდშაფტში. რეკომენდაცია: ცნობილი საიტების მონიტორინგი ორ წელიწადში ერთხელ, სოროების სინჯური დარუკება, არეალის მოდელირება. Карасева Е.В., Телицына А.Ю., Жигальский О.А. Методы изучения грызунов в полевых условиях. 2008. 416 с "